Brie oversees ATI’s daily operational activities, financial and resource management, business development, and customer relations. She is skilled in grant writing, as well as execution and administration of grant requirements. 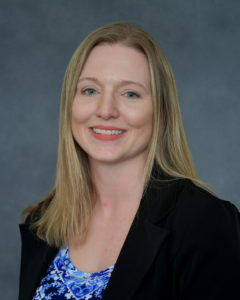 Brie serves as the program manager for mCDL and all Federal Motor Carrier Safety Administration grant programs and as the project manager for economic development projects, including scope development and communications management. She has a bachelor’s in Business Administration and Management Information Systems from Marshall University and a master’s in Project Management from Western Carolina University. Brie is passionate about animal rescue and outside of work you can find her fostering animals for One by One Animal Advocates or volunteering as a Cabell County Schools track and cross country timing official.